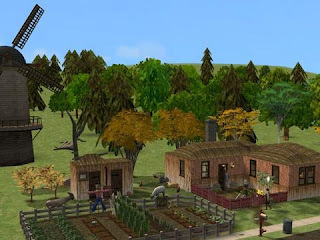 Do your Sims have a longing for days gone by? Do they want to shout ‘Huzzah! Long Live the King and Queen!’ Do they have a hankering for good old-fashioned servitude? Then it is you duty to transport them back in time several hundred years to live in Good Old Simland! Simland has a King and or Queen that presides over all of their loyal subjects. It’s up to you to make the strongest Royal family that you can. The fate of the Kingdom depends of you! - The heir to the throne must be the legitimate son of both the king and the queen. -Children of this class are not permitted to go to university since peasants did not receive much of an education. -Since they are the lowest rank, peasants may marry anyone except royalty. - Unless otherwise specified you may not use any cheats. No mood or aspiration cheats and no hacks that alter a Sims mood, personality, aspiration etc. -To keep all the families and classes in the same generation try to play each family for a specified number of days and then move on to the next family. Play one family from each class before you move on to the next class. - Roll a dice (or pick from a hat) to determine the aspiration for teens. -Since reliable birth control was not used in the old days, you must choose ‘try for baby’ each time your Sims woohoo. -You are encouraged to use custom content that fits the neighborhood theme. Pick a theme and try to make your neighborhood fit that theme as much as possible. -You may use all reward/aspiration objects unless stated differently. If doing a historical theme, try to hide any modern looking rewards in a basement or attic. -Nobles are the same as Royals if they are College Grads, non-grads limited to Athletic, Military, Politics, Science. -ONE child of each class per generation (not per house, only per generation) could go to ANY job. Peasants still would only get the 10 basic jobs, but they could do any of those. *You must play the chance cards every time. No exiting without saving if you don’t like the results. - If medieval isn't your style you could also play this challenge with another theme such as Renaissance, Regency, Victorian, or fantasy. - If you want an even harder challenge you could create two kingdoms by having the second kingdom in a downtown neighborhood attached to your original neighborhood. However, this means two sets of everything, 2 royal families, two sets of nobility etc. -You can add a church/monastery or abbey to you neighborhood that you can send Sims to that you don't want to marry. You still must play these Sims. 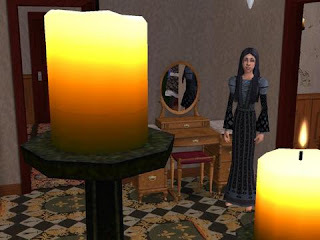 Sims of the Church are considered a separate class and must be added to your play list. You must play Sims of the Church as often as Sims of the other classes. - You can start the first King and Queen as young adults but you can not begin playing the other families until they graduate and move to the regular neighborhood. - To keep track of who belongs to what class you can have each class have a specific hair or skin color (ex. all peasants could have brown hair or green skin). - You can add one household for the town witch or wizard. The heir to that family would have no cheat restrictions and would be able to attend university in order to get the paranormal career but otherwise would have to live by the rest of the peasant rules. - If you can’t decide which theme to choose, try advancing the time period every one or two generations. Then you could start at medieval, then renaissance, colonial, regency, victorian etc. If you find the custom content for it you could even start with an ancient period like Egyptian or Roman. - Your original families can not live downtown, but non-heirs that start their own families may live either in the regular neighborhood. Also as was stated in the Options section, you can create a second Kingdom in your downtown area. - You can make vampires if you want them. Vampires don’t age, so remember that an heir to a family can not inherit their parents place until they are dead. Also with the quickly growing population, you don’t want to many Sims hanging around far longer than their regular life span. -Use of the matchmaker is encouraged since many cultures use to rely on matchmakers to find a suitable match for their children. The drawback of the matchmaker is that you often don’t get one of your playable Sims as a match. A Nobel or Royal Sim should not marry a Sim of unknown parentage. A good bloodline is very important. - Only your town wizard/witch or equivalent are allowed to use the Robot making bench since a robot would be considered magic. - Only Nobility and Royals would be allowed to purchase a Robot. Servo would be considered a live in servant of the house. - Selling clothing allows the business owner to ‘suggest an outfit’ for a customer. This is a good way for you to make the townies fit into your theme. If they decide to buy the will immediately change into the outfit your picked out for them. The salon chair also works for hair and makeup. * Count up all the points when at least one family from each category reaches 5 generations. If you keep track of points you must play by all the rules, but you don’t have use the scoring system. -1 points every time a household member drops into aspirational failure, prompting a visit from the Sim Shrink. 1 point if your Sim enters and graduates college as a vampire. * If you don’t have all of the Expansion Packs simply ignore the rules or bonuses that don’t relate to you. This challenge is very flexible so it can fit your personal tastes. With this challenge you can unite all the families in a neighborhood and give it some sort of structure and goal. If you are not playing for points feel free to bend the rules a bit to fit your playing style, but don’t be afraid to try something different then you normally do! *Do a search for ‘Medieval’ at http://www.modthesims2.com/ . You will find a lot more. I think that searching for great custom content to fit this theme is part of the fun!